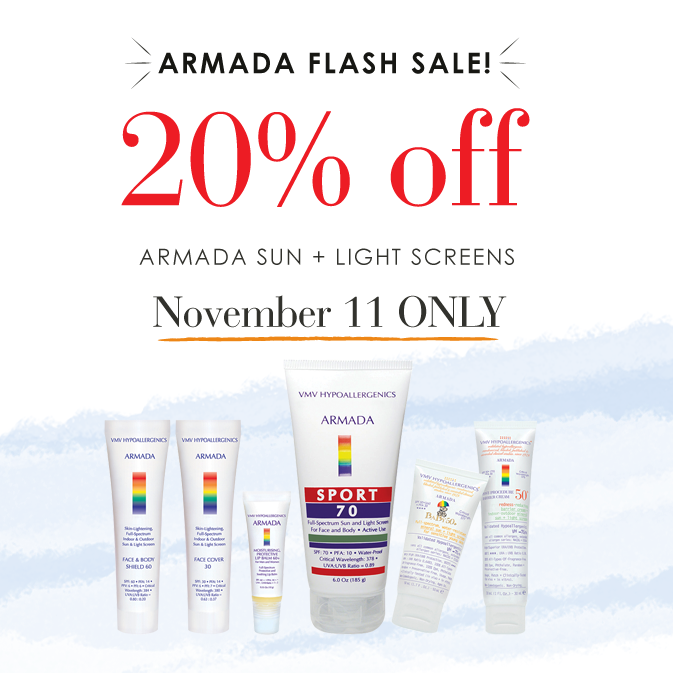 It’s the OMG-It-Never-Happens-Skin-Saving-Special of the Year - ARMADA FLASH SALE happening on November 11, 2017! 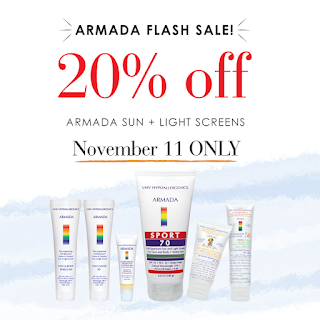 Get 20% Off VMV's most popular products worldwide — all Armada Sun + Light Screens! ONE DAY ONLY, November 11, exclusively on vmvhypoallergenics.ph!